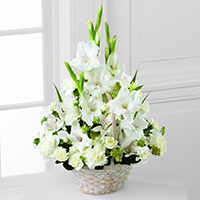 Provide comfort for the family of Yvonne Parrish with a meaningful gesture of sympathy. YVONNE PARRISH, 90, of Jackson Twp., NJ, passed away on Tuesday, January 8, 2019, at Bartley Healthcare, Jackson Twp., NJ. She was born in Spartanburg, SC, and resided in Manchester, NJ, prior to settling in Jackson Twp., 4 years ago. She was predeceased by her parents, James and Martha Stancil; and by her husband, Lester Parrish. Yvonne is survived by her son, Thomas Parrish and his wife, Lisa; her grandson, Thomas Parrish, Jr.; and by her extended family, Ken Klingaman and his wife, Jen, Ronald Klingaman and his wife, Arlene, Bunny June Meloni, Cindy Klingaman, Lorene Knierim and her husband, Thomas, Kathy Klingaman and her husband, BobWatson and Dee Klingaman and her husband, Ed Fabian. Relatives and friends are respectfully invited to attend her visitation from 2-5:30 PM followed by her Funeral Service at 5:30 PM on Saturday, January 12, 2019, at the GEORGE S. HASSLER FUNERAL HOME, 980 Bennetts Mills Rd., Jackson Twp., NJ 08527. A private cremation will follow. For directions, further information, and to send condolence messages to the family, please select a tab on the left. 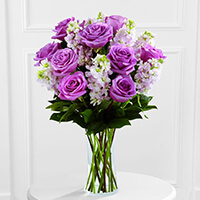 Consider providing a gift of comfort for the family of Yvonne Parrish by sending flowers. 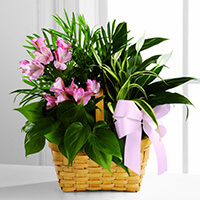 Lorene Knierim, Paola, Gabe, Dan and Jim, and others have sent flowers to the family of Yvonne Parrish (Stancil). Lorene Knierim purchased the The FTD Living Spirit Dishgarden for the family of Yvonne Parrish. May these flowers help to express our sympathy and support. Paola, Gabe, Dan and Jim purchased the The FTD Eternal Affection Arrangement for the family of Yvonne Parrish. The Flynn Family purchased the The FTD All Things Bright Bouquet for the family of Yvonne Parrish. I will always fondly remember Yvonne. We bowled on a league together for many years. Our lunches were so much fun, I miss those times and I will miss Yvonne. Rest in Peace.